When flip flops officially replace snow boots in your front closet, it’s a sure sign that summer is here. And that means music festival season is upon us. Long days spent jamming in the sun to your favourite tunes, discovering new artists while noshing on some sweet, sweet food truck fare – bring it on. Canada’s West Coast is spoiled with a huge variety of music festivals, from the big-name big-budget monoliths to the wonderful and weird niche events. Here’s a look at some of the festivals coming up in BC and Alberta, to help you start plotting out wristband real estate on your arms. 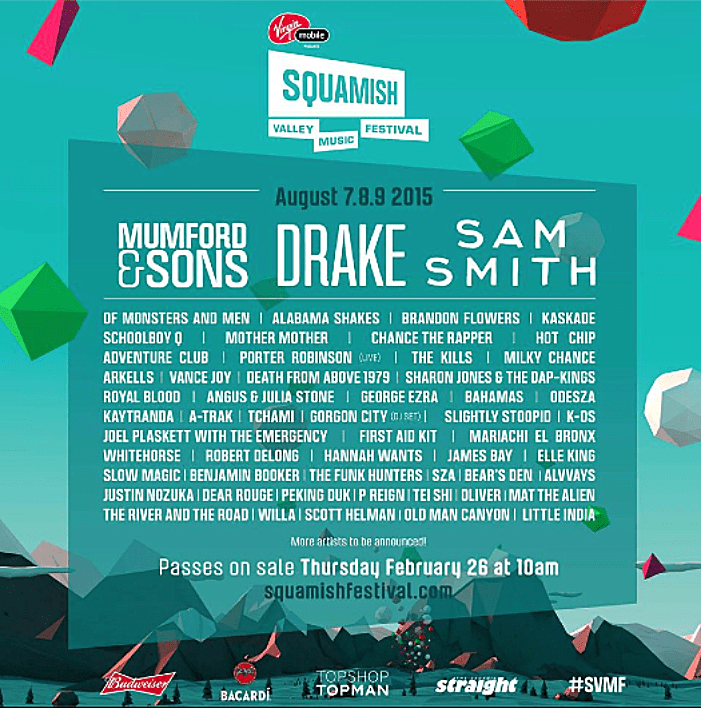 Every year, the Squamish Valley Music Festival seems to get better than the last. This year’s event on August 7, 8, and 9, features Drake, Mumford & Sons, Sam Smith, Brandon Flowers, Alabama Shakes, Milky Chance, and plenty more artists representing all types of music. The venue – beneath the beautiful Stawamus Chief – is tough to beat. 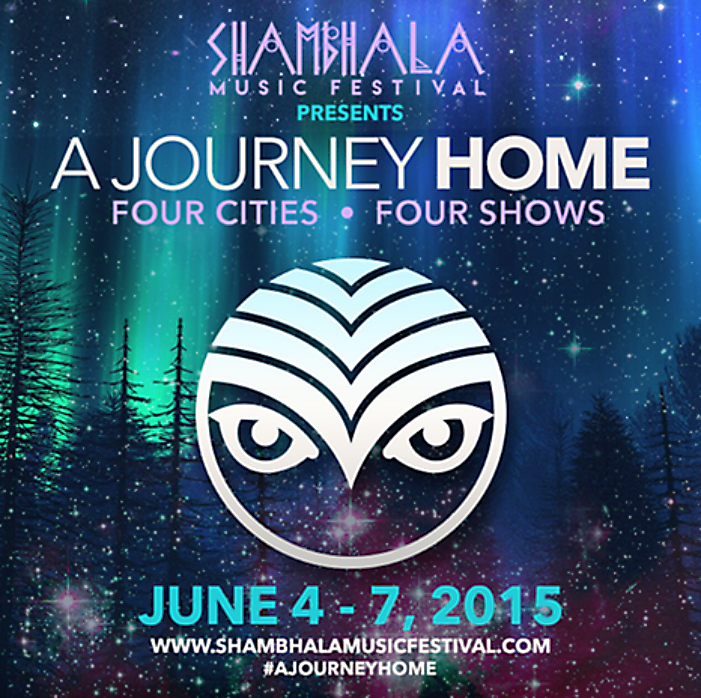 Head to Salmo River Ranch between August 7 and 10 for the 18th Annual Shambhala Music Festival, featuring the best in electronic music. 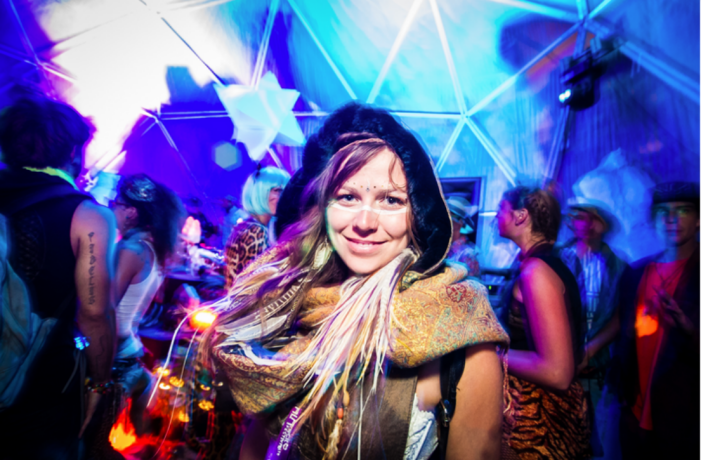 Get wild at the Ranch with A. Skillz, Pretty Lights, DJ Jazzy Jeff (yes! ), Mix Master Mike, Jauz, Kygo, and plenty more party people. Back for it’s second year, the Pemberton Music Festival is sure to be even bigger and better this time around. July 16 to 19 marks the dates of the 2015 festival in the Pemberton Valley. You’ve probably already heard plenty of buzz about the lineup, which features Kendrick Lamar, The Black Keys, J. Cole, Tiesto, Hozier, Kid Cudi, Weezer, Missy Elliott… there are way too many awesome artists to name. Canada’s only 100% Canadian content festival takes place June 19 to 21, 2015, in Beaumont, Alberta. 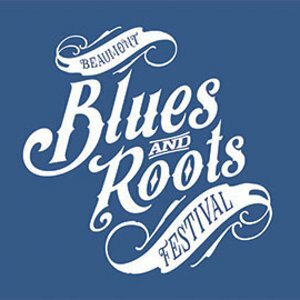 The Beaumont Blues and Roots Festival line-up covers a broad range of genres, including folk, roots, blues, and country tunes, including Doc Walker, Chantal Kreviazuk and Raine Maida, Hawksley Workman, and lots more. With six stages, on-site camping, a varied line up, the Vancouver Island Music Festival in Courtenay, BC, is a good bet for those who want the full music festival experience. The 2015 event takes place July 10 to 12 and includes acts like Bonnie Raitt, Lyle Lovett, The Mavericks, Same Baker, Russel deCarle, and Luke Blu Guthrie. July 17 to 19, 2015, brings the Wild Mountain Music Festival. Taking place at Entrance Ranch in Hinton, Alberta, this festival features a little bit of everything. This year’s acts include Corb Lund, Oka, Del Barber, Ridley Bent, and plenty more yet-to-be-announced artists.